file storage locations, Microsoft Office programs, keyboarding, and printing. Kids in 5th -8th Grade can get together to talk about Al Capone Does My Shirts by Gennifer Choldenko. Books will be available for pick up before the meeting or we can put one on hold for you. This is a KALA One Book, One Community event. KALA is the Kankakee Area Library Association. 10:00 A.M. – 11:00 A.M. Playing at a number of stations, children will learn fine motor skills with the help of manipulative toys. These activities are meant for children from ages 6 months to 5 years old. Explore how to safely navigate the Internet. This course will include visits to several websites that will provide you valuable information. Join us for crafting time as we make a witch to use as a Halloween decoration. For children in Kindergarten and Up. All supplies are provided; there is no fee for this program. Calling all kids in 4th - 8th Grade. Come together to read and talk about one Caudill book each month. 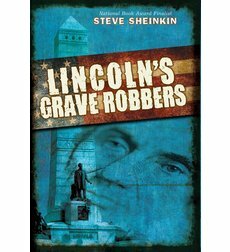 The selection for October is Lincoln's Grave Robbers. 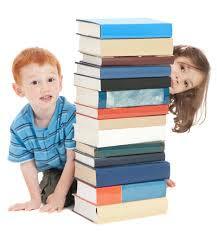 Come in to the Library to register and pick up this month’s selection. October 25 A book club just for teens in 9th through 12th Grade featuring the latest series and award-nominated YA books. For the month of October we are reading Scarlet. Come in to the Library to register and pick up this month’s selection. Build your Excel skills in this session for beginners. Gain hands-on experience by learning how to work with formulas, enter and edit data, create charts, format worksheets, and much more. Practice what you learn by creating your own usable worksheets. Our annual fall celebration promises fun for the whole family with crafts, a performance from Mr. Magic, and the annual book sale.